Last year we were so fortunate to be able to go on a huge family trip overseas. We spent three beautiful weeks in England and Italy touring around and made some amazing memories. It was a unique opportunity made possible by good timing and planning, and the kind of thing we won't be able to do again for many (so many) years. 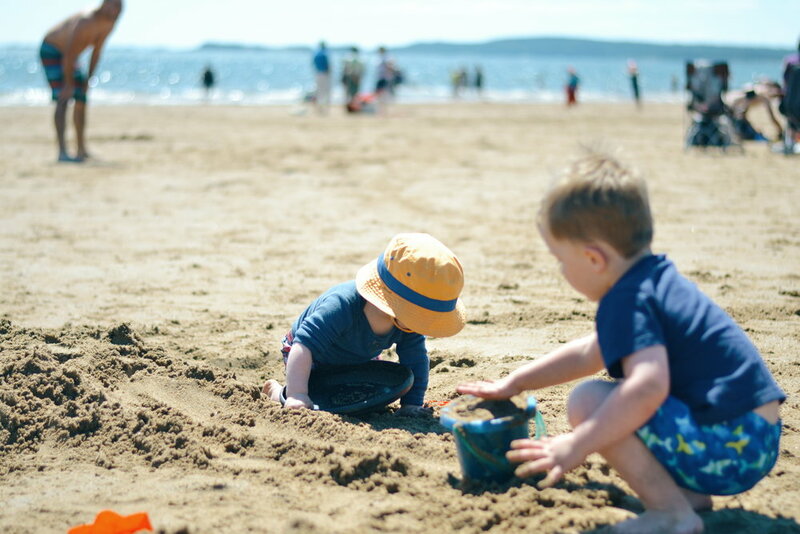 If you're planning your own overseas adventure I wrote a piece for Network of Moms on traveling with small children that you may find helpful. This year, we still have lots of plans for adventure, but all of them are close to home - mostly to accommodate me as my mobility and energy wanes the further along I get in this pregnancy. If you're looking for fun family-friendly things to do in (mostly lower) NB this summer then keep reading. Or if you have other suggestions let me know! 1. Swim at New River Beach. We went last year several times and that beach is just awesome, and under an hour from Saint John. You should also make plans to go during the famous sand sculpting contest on July 7th - it's a blast. 2. Drive across the sandbar and explore Minister's Island. I think that this would be a cool experience for the kids, and assuming we time it right, we won't strand ourselves! 3. Finally visit Grand Manan. This includes a ferry ride that I KNOW the kids will love, since we've taken the Fundy Rose many times much to their delight. There is so much to do and see over there. This will definitely be an over-nighter, but I think it's one of the things at the top of our list this year. Can't wait. 4. Explore the St. Martin's Sea Caves. To be totally honest with you we've actually already been this summer, and we have plans to return! I can't get enough of outdoor places that inspire the kids and also offer them a chance to just run around and work off some energy. We love this place. It's a short drive from Saint John, Sussex and Moncton and there are on-site restaurants with the best seafood to indulge in before heading home! Make sure you go at lowtide if you want to hike into the caves. 5. 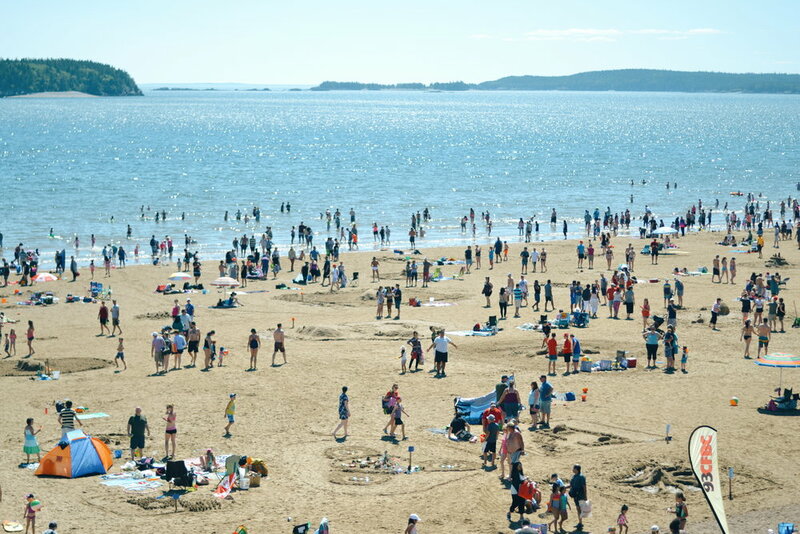 Visit Shediac and swim at Parlee Beach. With a stop to the giant lobster, of course. 6. Visit King's Landing. There's lots to see and do at King's Landing, and it's a perfect place to take kids. For the last several years the provincial libraries and King's Landing have been partnering to offer free passes available at library locations in September. If I see this program come up again I'll link it. 7. Hike Black Beach Lighthouse & Loop. Not on the same day probably, haha. Black Beach is so underrated. Located in Lorneville, minutes from Saint John, this place is special. We hiked to the lighthouse last year and plan on doing it again (easy enough even for a 3 year old). The loop is a bit longer, but totally worth it. 8. Visit Hopewell Rocks. Would you believe we've never been? It's time for us to see NB's most photographed landmark! 9. Go Treehouse camping in Miramichi. If you're going to go camping, why not do it in a treehouse? 10. Hike the Sussex Bluffs Trail. This is a nice 3.5km trail in Sussex Corner with an awesome payoff at the end. We'll have to go soon if I have a hope of making it up there! 11. Daytrip to Fundy National Park. Last year we hiked Dickson Falls and had lunch overlooking the ocean and it was magic. This year we will pick a new (kid friendly) trail, and pack another lunch. It's such a treat to have such beautiful well maintained trails so close to home. 12. Swim at Mactaquac Provincial Park. So much of our summer plans include beaching it. Mactaquac has gorgeous river swimming and is staffed by lifeguards. There's a nearby TreeGO too if that's your jam! 14. Visit the Huntsman Aquarium and the Farmer's Market in St. Andrew's-by-the-Sea. Did you know that the their Farmer's Market is on Thursday mornings? If you time it right you can do some shopping in the morning and then catch a seal feeding before lunch. They also have an awesome playground next to the elementary school that we go to anytime we're in town. 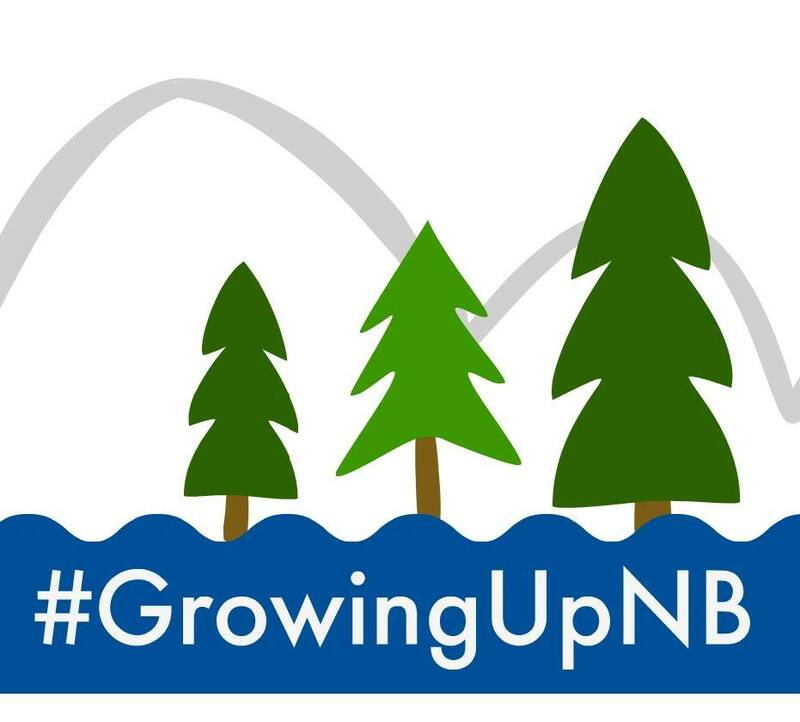 If you're planning a summer adventure, let me know where to, and hashtag any photos on social media with #growingupnb!